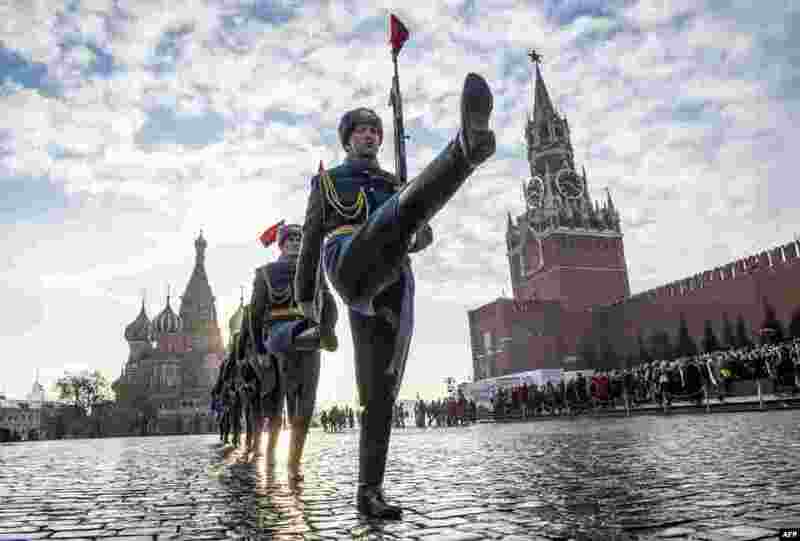 1 Russian honor guards march during the military parade at Red Square in Moscow. 2 New York Democratic Congressional candidate Alexandria Ocasio-Cortez speaks to supporters, Nov. 6, 2018 in Queens the Queens borough of New York, after defeating Republican challenger Anthony Pappas in the race for the 14th Congressional district. 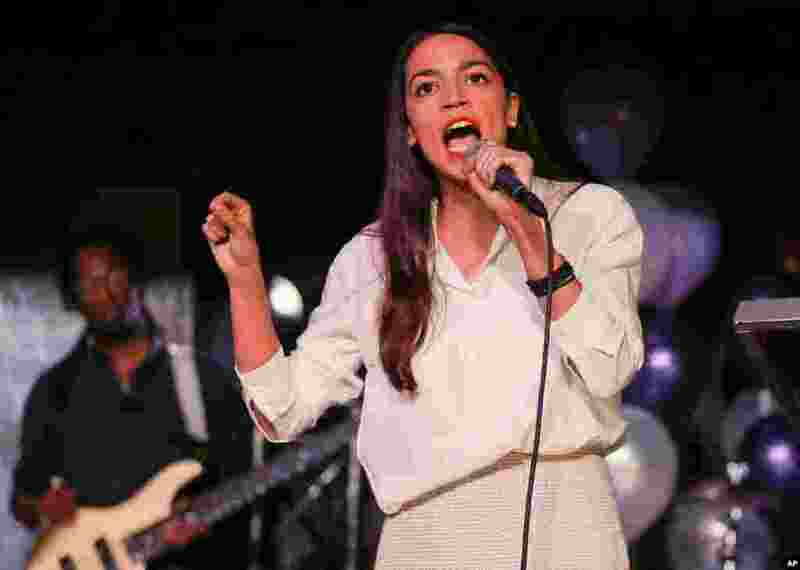 Cortez has become the youngest woman elected to Congress. 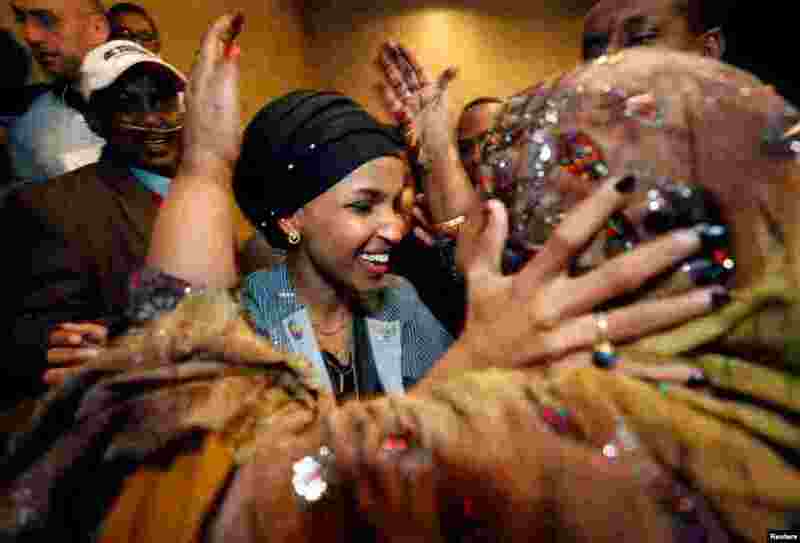 3 Democratic congressional candidate Ilhan Omar is greeted by her mother-in-law after appearing at her midterm election night party in Minneapolis, Minnesota, Nov. 6, 2018. Omar, born in Somalia, becomes the first former refugee and the first woman from Africa to join the House of Representatives. 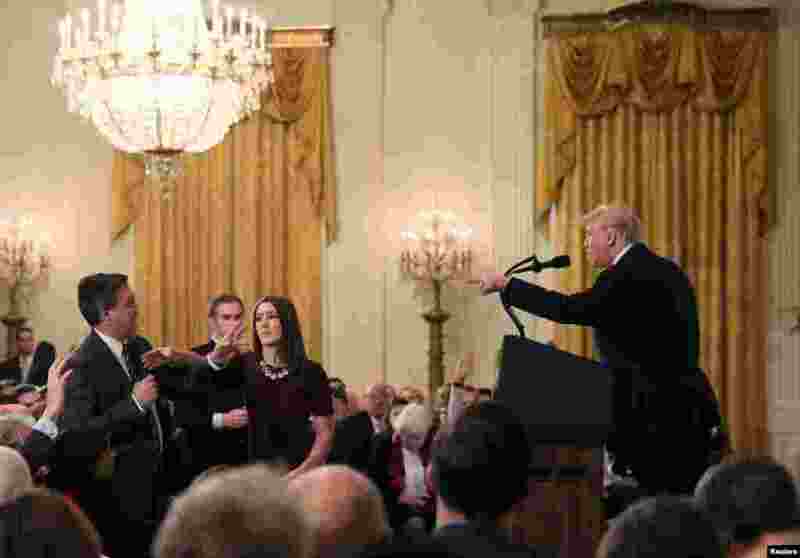 4 A White House staff member reaches for the microphone held by CNN's Jim Acosta as he questions President Donald Trump during a news conference following Tuesday's midterm U.S. congressional elections at the White House in Washington.